Atlantis Ingria is a modern lighting system for urban areas, embankments, parks, streets and other open spaces. 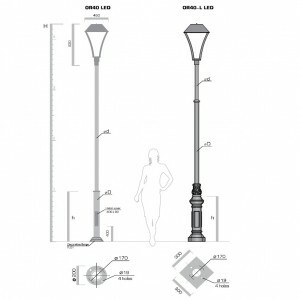 Includes pole, lighting fixture, decorative flange, wiring, terminal blocks and circuit breaker. 2. 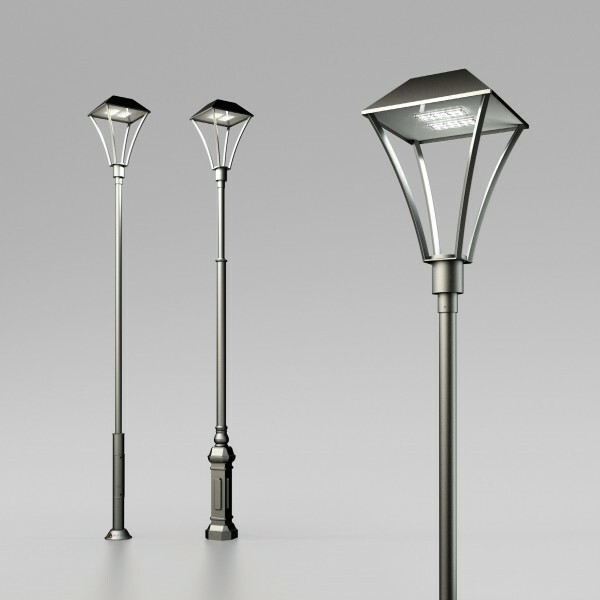 OR40-L LED – the pole is made of steel with cast iron elements. The steel pole is powder painted. 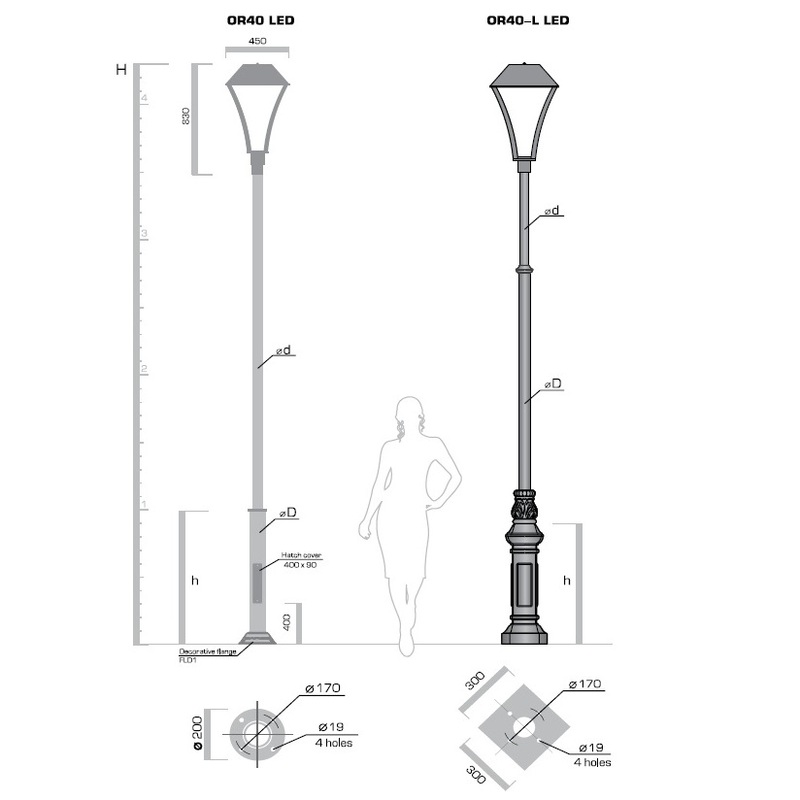 In case of the pole with cast elements – the body is powder coated and the decorative elements are wet painted. The max. section of connected conductors up to 16 mm2.